Baltimore's embattled mayor announced Monday she is taking an indefinite leave of absence, just as a political scandal described by critics as a 'self-dealing' book-selling arrangement intensifies dramatically and threatens her political career. The mayor's decision to go on leave came the same day that Maryland's Republican governor called on the state prosecutor to investigate allegations of self-dealing by Pugh and the state's comptroller, a Democrat, urged Pugh to step down immediately. 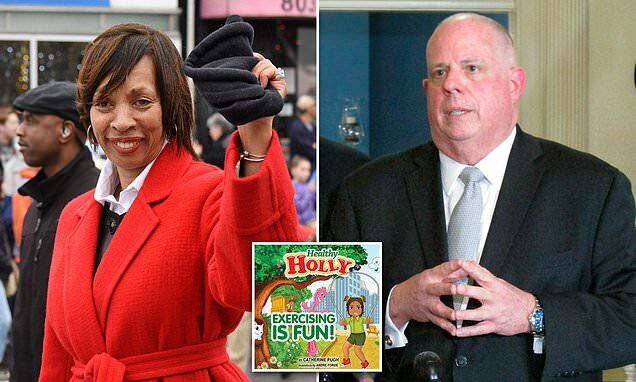 The two officials' calls came hours after Kaiser Permanente disclosed that it paid $114,000, between 2015 and 2018, for roughly 20,000 copies of Pugh's self-published 'Healthy Holly' illustrated paperbacks for children. The revelation came about two weeks after news broke that since 2011, Pugh has received $500,000 selling her illustrated books to the University of Maryland Medical System, a $4 billion hospital network that's one of the largest private employers in the state.